One year long unlimited entry to the Sound Museum and free admission to concerts – for only € 39,-! 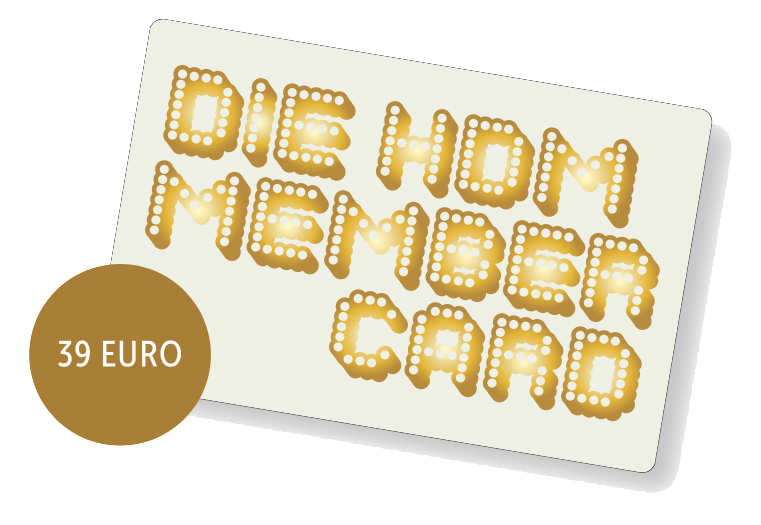 Become a member of Haus der Musik and discover its musical universe during the period of one year. The HdM Membercard offers yearlong unlimited museum entry and free admission to all “Live On Stage” concerts. – Free entry to the Sound Museum, 365 days a year. – Free entry to the concert series “Live On Stage”. – 50% reduction on the entrance fee for your companion.